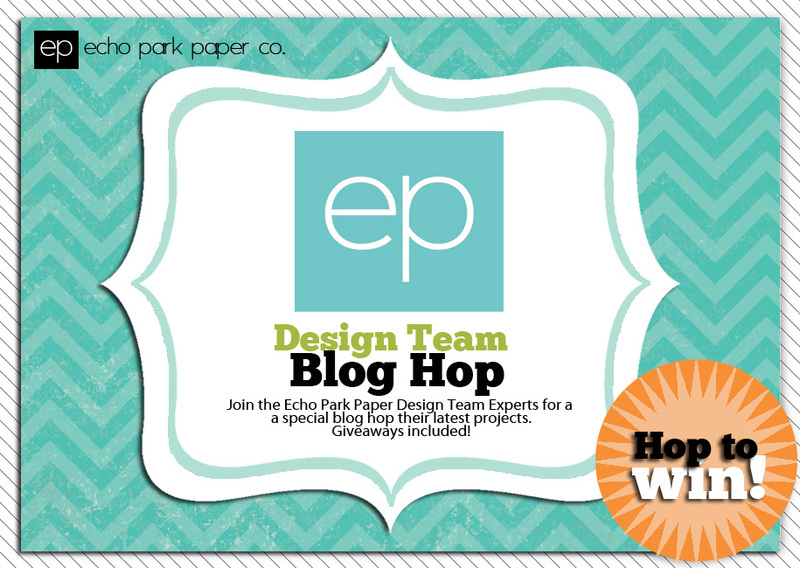 The Paper Orchard: Echo Park Hop and Scoot! What a wonderful layout, those papers are perfect! Just love this page!!! The colours in this collection are so vibrant! I love it! Oh this is so darn cute!!! such a fun line perfect for pics with my little boy! I love the vibrant colors. Love the new blog design!! I am excited for the blog hop!!! I love to follow and learn new things!!! Of course I love to win also!!!! Can I say how much I really love your layout and this new Scoot collection? There are just too few boy collections with boy colors. I love! Love the layout, Nancy!! I love that the page is so quick and easy. Cute!! Да, действительно мальчуковая и очень замечательная! У нашей Ольги так же суперская страница получилась. BEAUTIFUL layout! LOVE the bright vibrant colors!!! Thanks for big hop! Love EP very much! Very nice layout! I really love how easy it is to do a page with a kit! Wonderful LO, very nice! Thanks for the chance!beautiful paper EP! This is the most awesome LO I have seen in a while! Love how you used the enamel dots. There's a lot on this page but it works so well with the theme and with the other pieces so it's not overwhelming at all! Thanks for the chance... Love EP papers, these are such a bright colors..Love the boys, such a cute pic..
What a fun paper line for your vibrant photos! Love it! 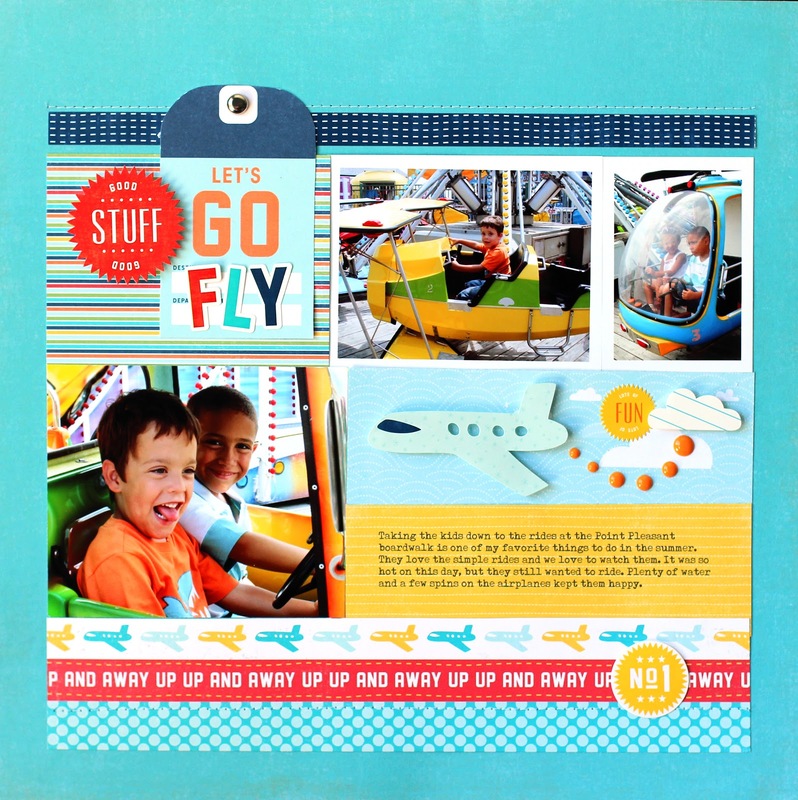 I love this LO-especially the die cut airplane with the enamel dots trail! This page is so fun! Бумага великолепная и страничка получилась очень интересная, яркая и сочная!!! How absolutely perfect is that paper for these photos. I love it! Awesome layout. The paper just goes with these pictures or do the pictures go with the paper?? Love it!! I am going to have to pin this layout! I also like how you use the enamel dots. I didn't say this on my previous comment, but I just have to....I love where you placed the enamel dots. It seems like the plane is tooting....I love it! Cute page. I love enamel dots too. столько разных работ из этой бумаги, но все очень весёлые! Cute layout, I love the expression on your sons face. Thanks for the chance to win! I love the enamel dots leading from the plane to the cloud! What an adorable page! Очень красивая и позитивная страничка! Now that is one fantabulous layout, gotta love that Scoot line!! Love your colorful, clean and fun layout!!! So cute! I have similar pictures from our visit to a local amusement park. I will have to try this with my Scoot collection. Thanks for sharing your talents! Its a beautiful. Thanks for the inspiration! I knew you would do wonderful things with this collection! Love the title and little airplane scene! I love that layout!! Soch a fun line!! I have 2 boys, so this line would be perfect for me!! Amazing layout. Love this collection. Thanks for sharing. This is super cute! LOVE the little plane & flight trail!! stitched look on some of the papers. I like that Echo Park does a great job of creating great collections for the boys in our lives too! Очень красивая страничка! Бумага впечатляет, просмотрела столько работ и зарядилась от всех дизайнеров позитивом!!! Very fun layout--I like your use of enamel dots. Cute layout and fun colors! Very nice layout!!! Might have to incorporate it into a Cars layout and swapping the airplanes. Thanks for the inspiration! The paper fits your layout so well. Looks like the boys are having a great time. Lovely LO! Great papers used. I'm so loving this collection. The airplane trail is such a cute idea. I LOVE it. What an adorable page layout! Love this collection. Thanks for the giveaway! I can actually FEEL the fun. Great job. I love this page and the colors are so pretty! Gorgeous layout - love it! Oh how cute! Such a fun layout! Love the little airplane scene with the enamel dots, and I love your new blog look! Wow! Inspiration galore! Love the papers and layout! Can't wait to get mine so I can have a go! Love the papers and your layout! Wow! I love this layout. I have ot to go get the elements for this paper! I have four boys! Great layout! Love your LO! So bright and happy! Very cute layout. Thank you for sharing. Such a great layout, love it! I love your layout! Great job! I love aqua too, this is such a fun layout - thanks for the ideas. What a cute layout! and the collection is wonderful! That's the perfect paper for your pictures! How cute! Lovely layot!! and great collection of paper! Страничка "бомбезная"!!! Обязательно возьму на заметку!Обожаю бумагу Echo Park. Из новинок осебенно понравился набор Scoot! Love all of Echo Park's collections...my favorite paper company EVER! What a cute layout - this collection has such fun, bright colors. I knew you would create an awesome layout with Scoot!! I love this line! Adorable layout, thanks for sharing. This Scoot collection is just so perfect for that darling little boy layout! Such a fun and happy layout! Love your layout! I love this collection! Super fun! I absolutely love how wonderful a job Echo Park does with boy collections and you did a fantastic job of showing Scoot off!!! Thanks so much for sharing! What a cute layout! Love this paper line! Those photos are so cute and your layout really shows them off! Fun collection! Ok these photos are perfect for this line!!! What a fun layout and totally brings out the fun in the pictures! Thanks! What perfect pictures to go with Scoot! Such a bright and fun line. Your touch of the enamel dot "trail" is perfect! Wow what a perfect layout for your pictures.. Echo has the greatest paper and embeli for every occasion. Great layout! Love the photos - they are fun and match this collections perfectly - or the collections matches your photos! Either way - it's a match made in heaven. Excellent job! SO cute! I just love the colors and designs in this collection. Thanks for the inspiration!!! Photos and papers are a perfect match! And that part with airplane and clouds is so great for boys LO. Great page with fun pics! Love the colors! Страничка просто супер, фотографии и бумага очень гармонируют между собой! Страничка супер, яркая и позитивная! Спасибо за возможность! Очень веселенькая и яркая страничка! Such a great layout. Love the way you used the living colours in combination with your photos. Too much fun!! Love it! awesome layout and perfect pictures for the collection! I always love your work. Great collection. What a great way to showcase pictures of our children as wannabe pilots - we probably all have a photo or two like this. What a fun bright playful layout. I am totally loving the Scoot collection!! These are just the perfect photos to go with this collection. Wonderful job on your LO> It is so adorable. Прекрасная яркая и сочная страничка!! this line is just so cute & man it is quite the match for your layout :) just wonderful! Love how this collection has everything for gret layouts. Your LO is so adorable !! TFS. I am sooooo digging the Scoot line. Cant wait to get my hands on it! Love your layouts and Echo Park products. The quality of their products is superb. thanks for so many great ideas and great inspiration. This collection is perfect for you pictures. Very cute and colorful. What great insporation, thank you. WOW - lovely page - surprisingly simple to make, but still plenty to enjoy. Lovely page. I like the tag. So cute, love those enamel dots! This is a fun collection for boys & vacations! Love it! Fun project, thanks for the inspiration! Precious page - love everything about it!!! Cute projekt! I like it. I love this layout!! You girls have some talent when it comes to this paper! Totally love your layout! The trail of enamel dots coming from the tail-end of the plane is such a cute touch! Lively LO. Love the interplay of the paper and the photos. So bright and cheerful. Those little guys look like they're having the time of their lives. wow-I love this! the colors are just perfect for your photos, and I love how you used the enamel dots! This layout is going in my favorite sketch file. Thanks for sharing. as always I LOVE your layout! Thank you so much for the chance to win! what a great line for boys! love your enamel dots! How perfect is this collection for those photos?! Great job! WoW Awesome Love this LO the colours are just perfect for it. Love your page, Nancie! Simple, yet fun and colorful! Love this collection! what an awesome layout! I love your style!!!! Oh my goodness...how fun is this?! What a cute idea! What great paper for this project. Your work was great. Thank you for sharing. Love the colors and collection. Great LO!! really fun LO, love the colours!! I love the colors of this layout! It definitely gives the pictures some pop of fun! Thanks for sharing! Such a sweet boy page. Your layouts always inspire me to scrap more of my sons adventures. thank you Nancy. These colors are wonderful. Thanks for the inspiration. what a fun layout! love the colors in this collection! Wow! This is soooo cute!!! I love the stitching, the way you did your title, and the airplane brads! What a great job! I love your layout. So colorful! Love your layout and paper choices. Has a cool magazine feel to it. I love your fun, colourful page. Great layout! Love how bright and bold this is! I LOVE this layout and have the perfect photos for it. Arranged a supprise flight for my mom a couple years ago in a small 2 seater plane!! Would be PERFECT!!! Love this colorful and energetic lo!!! The colours in this layout are magical!! The colors in the Scoot collection are so perfect for little boy pages... Thanks for the inspiration. Hi, I'm also wondering who won the prize!!! Thanks! website conations genuinely nice funny material too.